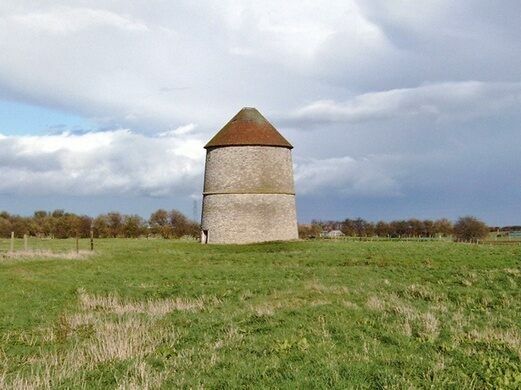 This 600-year-old tower was built as a comfy residence for cherished pigeons. 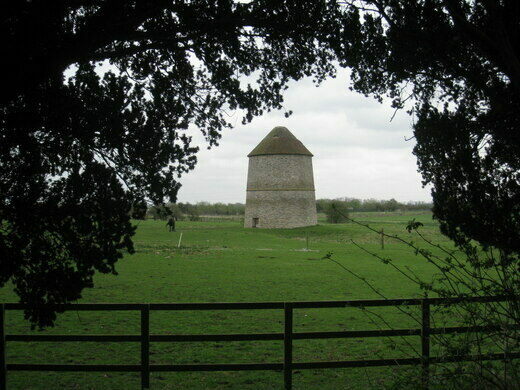 Dating to 1370, this surprising solitary structure looks more like a disused windmill or a Rapunzel-esque fairytale prison cell than a birdhouse. This Victorian marvel of engineering and artistic prowess is nicknamed the "Cathedral of Steam." With its substantial 3-foot-thick walls, this 30-foot-tall feathery fortress is all that remains of a medieval collegiate religious complex in Sibthorpe, Nottinghamshire. 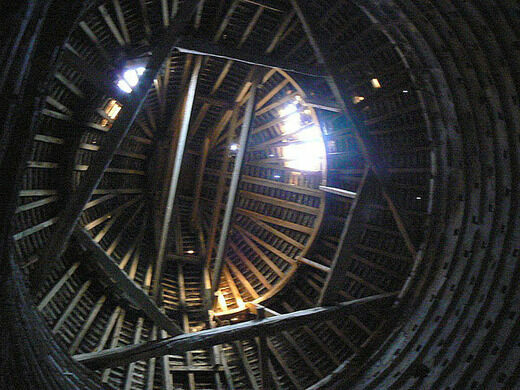 The outlandishly gargantuan dovecote, which housed over 1,200 pigeons in tiny nesting niches perched 24 stories high, was built by monks in response to a famine of 1360. It was intended to provide an unlimited supply of meat, eggs and a rather smelly fertilizer to safeguard against future starvation. Beside the tower, strange undulations reveal another of their attempts to provide a cheap and readily available source of protein, as several long-drained mediaeval fishponds are still discernible. 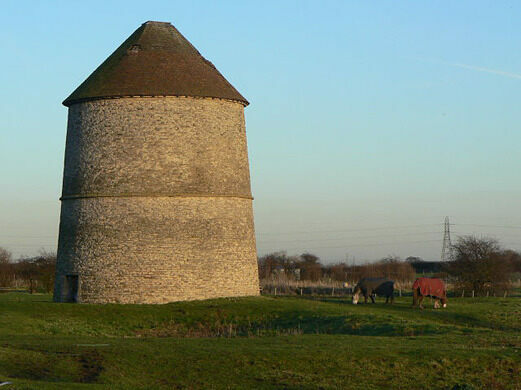 Having stood tall for more than six centuries and outlasted all of the mediaeval monks other architectural efforts, Sibthorpe Dovecote is now a fully protected grade I listed building and is owned by Nottinghamshire County Council. 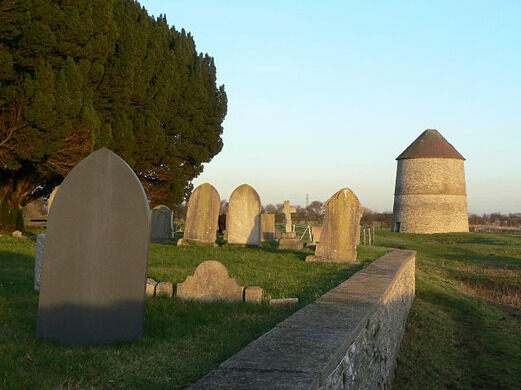 The Dovecote can be seen from a great distance in the flat landscape around the River Trent, but is best viewed up close from Sibthorpe's historic and pretty Church Yard, which, perhaps unsurprisingly, is on Church Lane. Sibthorpe is served by the number 91 bus from Newark-on-Trent, which runs every two hours and takes 25 minutes. Newark is an attractive town with a ruined castle and civil war museum. It can be reached by train from London in 1 hour 20 minutes, or Nottingham in half an hour. The final resting place of hundreds of Polish airmen who died fighting the Nazis in Britain. This English medieval castle is where King John died of dysentery. A magnificent mansion hides a delightful collection of historic timepieces. In the U.K., a historic workhouse shines a light on the early, harsh treatment of the poor. This old medieval prison tower has been a site of astronomical research for more than 250 years.